It will soon be April Fools' Day, a big event for practical jokers of all ages and intellect. To be honest, it's not something I've paid a lot of attention to over the years. That tease, trick and shock kind of comedy has never really been my thing. Pulling off a really good April 1st prank usually takes a lot of work. Few people can come up with an original, guffaw-worthy joke. The majority are just silly and often cause pain or shame to the victim. Not to mention, it's not easy to slide something by someone, who because of the day, just might be waiting for it. Sometime it's even difficult to figure out who is actually the fool — the joker or his target. But I do love to laugh — hard. And to hear others do the same. Not that little giggle, or polite 'Ha Ha', but an honest, sincere, you caught me by surprise with that, full-out, burst. What will make it happen for me isn't in-your-face or corny comedy. No, I like humour that surprises you, that kind of dry wit that sneaks up on you. My husband has it; once I got passed his baby blues it was the next thing to charm me. And since I met him I can honestly say that there hasn't been a day when we haven't laughed together. None of this is to say that the slapstick or sophomoric, the blue or burlesque are better or worse than the dry or droll. Anything that makes someone laugh, unless it makes another cry, is fantastic. Just like these collections of cartoons meant to tickle a funny bone or two just in time for April Fool's Day. This time of year, after snow and cold, there's nothing like adorable to warm your heart. While Easter is a religious holiday on the Christian calendar, the secondary aspect exemplifies all that's perfect about spring. Spring takes us away from the bleak into sunny warmth and rebirth. Rather than stark and barren, we begin to think of vitality and life. 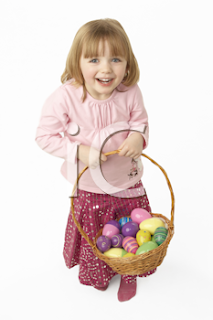 Though for me it doesn't quite have the magic of Christmas, there's something enduringly cheerful about Easter. Unlike that earlier celebration, where crisp and cool, lushly Victorian, or playful but traditional are the decorations and illustrations of choice, at Easter we are all drawn to breezy images of spring. 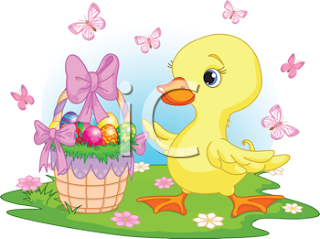 Who doesn't smile at fluffy bunnies, petal soft baby chicks, wicker baskets of decorated eggs in soft pastels and colourfully wrapped chocolate in a variety of appropriate shapes? When looking for graphics to use in Easter projects, whether it's for cards or invitations, completing a scrapbook, or advertising an egg hunt, I've always been partial to those "Aw... -inspiring" ones. So, if adorable is your thing too, here are some great collections. Who Doesn't Love Easter Eggs? I love to decorate Easter eggs. I'm not saying that I'm particularly good at it, but there's something soothing about such a simple creative task. Lining up the colours, trying to find ways to make each egg original, doesn't take a lot of effort, but makes you feel as if you've done something just a little special. Then, of course, there's the fun that goes with it. I look back fondly on the hunts that took place in my rather competitive family over the years. The excitement of seeking and finding, of adding to one's stash. 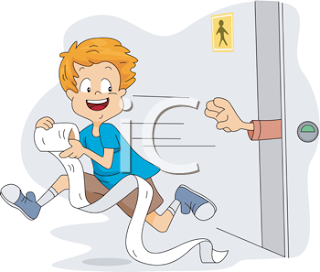 It was important to my kids to keep tabs on who was leading, and fun for their father and I to sit back and watch the renewed zeal when they realized one had just a few more in their basket than the rest. There was also the giggle of finding that one that had been overlooked by all, long after Easter had passed. For now, however, though I will be painting eggs, the end result of my seasonal artistic endeavour will be more centrepiece than a fun, family activity. While we currently have a gap between the I'm-too-cool-for-this group of grandkids and the newest addition who hasn't learned to care yet, it just wouldn't be Easter without those otherwise ordinary ovals dressed up in colours that simply scream spring. So for a preview of all that Easter sunshine, the pretty eggs, soft chicks and fluffy bunnies, here are some cheery photo collections. They might even provide some artistic inspiration. It's been a heady time for local sports fans in this area. With winter being the season for this country's favourite sport, arenas have been stacked with people excited to watch their favourite teams, whether the players be professional, farm or family, skate to victory. As noted, the hockey squads where I live have been doing quite well, with the Midget level having recently captured a provincial title. The championship was capped by a late- night, rather rambunctious tour around town via fire truck, with excited players hooting and proud parents following horns honking. Actually the parents and die-hard fans in the community may have been even be more excited than the kids. 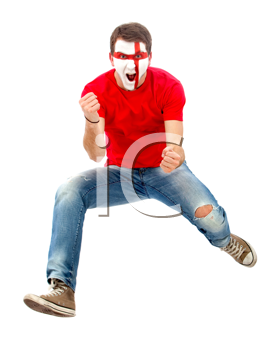 Getting hyped up over sports is almost as much a part of any game as the game itself. A team's success is a source of community pride. Parents' enthusiasm often reaches immense proportion with their daydreams of having given birth to the next Gretzky looming large. The devotion of college students to their teams will generally continue long past the glory days. And love for a professional team is often fervid. Or perhaps I should say fan-atical. So for all the people who just can't get enough of their team and their sport, here's a fun group of photos to celebrate the glory and angst in the face of the fan.